When snowflakes fall on mittens or coats, it is fascinating to view the unique intricate details and designs of each one. 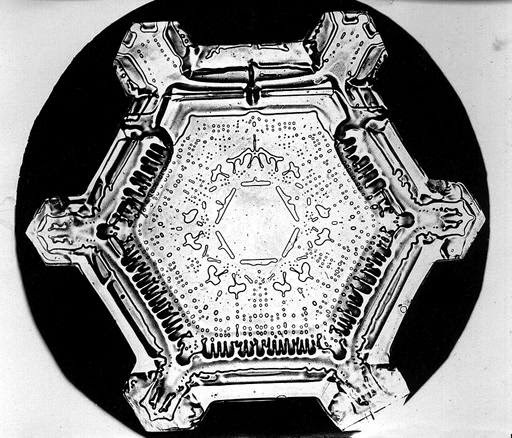 Wilson A. Bentley lived in Jericho, Vermont (1865-1931) and was much ahead of his time in discovering that "no two snowflakes are alike." 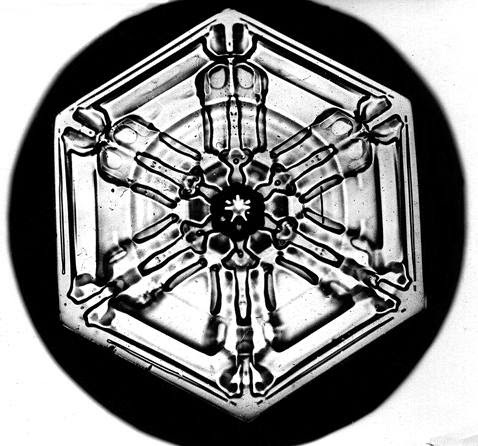 Bentley was a self-educated farmer and attracted attention from around the world with his pioneering photomicrography of snow crystals. 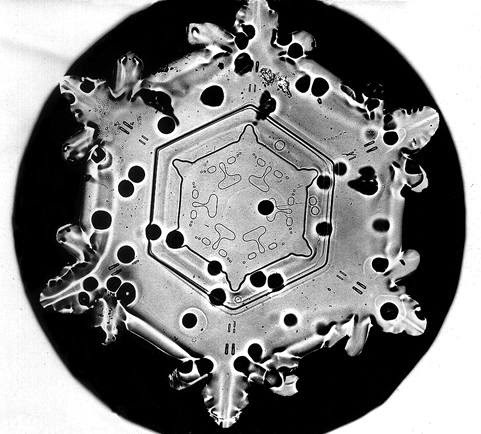 He adapted a microscope to a bellows camera and became the first person to photograph a single snow crystal in 1885. Throughout his lifetime Bentley captured over 5000 snowflakes, never finding two alike. Over the years his photographs were acquired by Universities throughout the world and have been published in many articles and magazines. 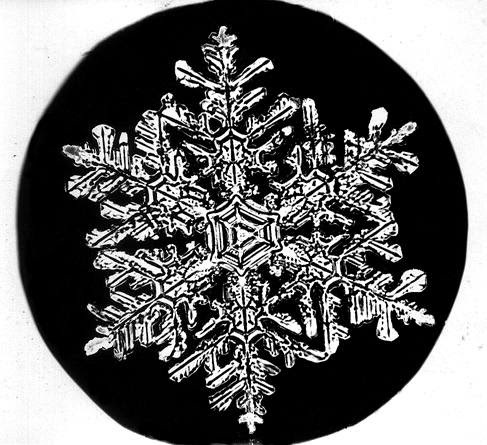 Wilson Bentley wrote an article for Popular Mechanics Magazine in 1922 about photographing snowflakes. Some of the hardest part of his work involved being in the cold temperatures (blizzards) that produce beautiful snowflakes. You can read Wilson Bentley's "Photographing Snowflakes" article here. Wilson Bentley used a compound microscope (high power biological microscope) to view and photograph the snowflakes. 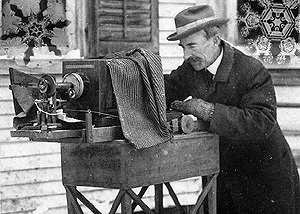 However, there were no digital microscopes back when Bentley performed his snowflake photomicrography. He was creative and attached his bellows camera to the microscope in order to capture the beautiful images.